View Poll Results: Which lens should advance to the next round? 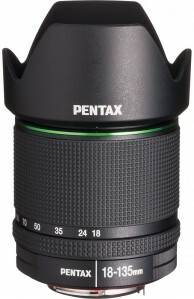 In this telephoto knockout match, the SMC Pentax-FA* 300mm F4.5 faces the SMC Pentax-DA 18-135mm F3.5-5.6. You've got to be kidding me. What kind of a choice is that?? It is a match that makes certain the FA* gets through to the next round. We all know what the obvious match is - DA*300 and everyone knows the result of that or do we? I have both lenses and it is a difficult choice. 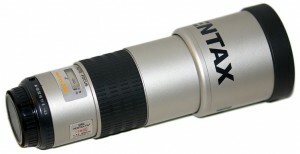 The FA*300mm is a stellar prime. The DA18-135mm is a most versatile lens. I agree with others that the comparison is not fair. But if I must decide between the two, I would do it in terms of IQ. And the FA*300mm is very impressive, while its small body is a great advantage over the DA*300m IMHO. If you could have only one, what would you chose? I'm going with, what is the most useful lens here. It's the 18-135. If you're not birding, how often are you even going to use a 300mm lens? Want milk or bread? It is a had choice if I can only pick one. I can not vote on this one. They are too different. Only think in common is, they are both pentax k mount af lenses. A prime it will do a better photo most of the times over a zoom. It's the only way a zoom can compete. I took my da-15 for a classic car show to do all those beautiful stars on the chrome work, the cars were too far away from the public, who saved it 18-135. Most of the time it is 18-135 and some thing I think it's best. Or only the 18-135 if it will rain, a WR 18-135 it's a very very handy tool out doors and the results are very good for my photo ability. My 2c on what’s the idea for the contest. I need both if these are the only two item on the table, in general. maybe one day I can take bread only but I just can not which one is better or I need it more than the other. I have both, and like both. And I never took both with me at same time, They are just different. I'd go for Nutella. Wins every contest. It's the Chuck Norris of food. Maybe, but you need bread to put it on. "She who must be obeyed" always objects to eating stuff straight out of the container (or drinking, except beer). I love my DA 55-300, but would grab the FA* 300 or DA* 300 in a heartbeat, except that "She who must be obeyed" objects to my spending the food budget on toys.